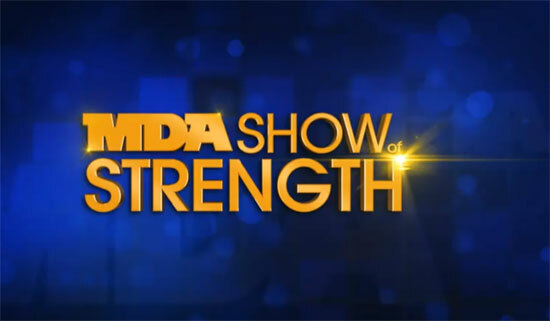 The annual MDA (Muscular Dystrophy Association) Show of Strength Telethon aired Sunday, September 2nd, 2012, and it was a good cause some of our favourite Divas- Brandy, Carol King, Carrie Underwood and Alanis Morissette- lent their support to by performing at the event! Check out said performances, and my thoughts on them, below! Alanis Morissette (like Brandy) went in for some self-promotion by performing new single, Guardian. Luckily for her she could get away with it as the song had a positive message behind it. With lyrics that mention being someone else's "Angel" and "Guardian" it was bound to resonate with those caring for sufferers of the the condition. This performance was typical Alanis Morissette: polished, together and, on a totally shallow point, doesn't she look hotter than ever? Performance itself: way too much background vocals going on and hardly any real, live vocals. Her dancing did look less awkward than the accompanying video for the song- so that's good- but it wasn't a great (or even good) performance all in all. On the plus side, being one of only a few "urban" artists on the bill, Brandy would have attracted another demographic to the shows viewership, hopefully meaning more donations, or at the very least, more awareness of the disease. Now to a great song choice from legend Carol King. The singer/songwriter sang her classic You've Got A Friend, and despite sounding a little horse on the top notes, it was a moving rendition. Carrie Underwood sang Nobody Ever Told You from her latest album, Blown Away. Its message of inner beauty and self-acceptance was a smart choice from the American Idol winner. I felt the song itself was a little flat- sounding like a filler track- but like I said, the message was great and the vocals weren't half bad either! More clips from the Telethon are available at the MDA Youtube channel here. Looks like something went wrong with the links there? I agree on the shallow point Diva, Alanis is looking great at 40 and after having a child. All sorted. Thanks for bringing that to my attention, opie...weird! Brandy has never been smart about her career, so it makes sense lol. And she sounded what we Americans call a HOT mess...and the dancing was not good...she can't and should stop trying. And yes Alanis and Carol were great...and both still look good for their age. Carrie, ever so beautiful, was a bit dry in delivery and was a bit flat. And idk about Brandy bringing the urban attention...3 fans isn't that much of attention lol.